Sweet Dreams Equals Sweet Hollywood Script! 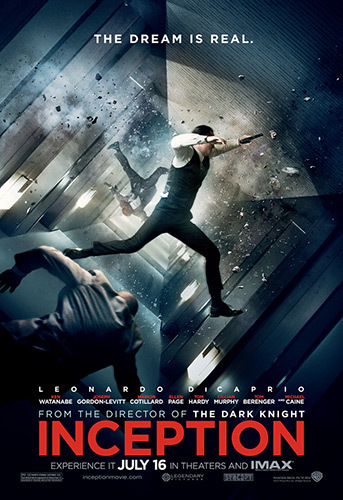 Christopher Nolan’s Inception has been, by far, the most highly anticipated film of the summer by both critics and fans. The film challenges your mind and thought processes, you will simply be blown away! A highly creative script, visually original action-packed special effects and top-notch actors make this film one of the best I’ve seen in years. Leonardo DiCaprio, Marion Cotillard, Ken Watanabe soar under Nolan’s direction and amazing script. The main theme centers on dreams and being able to extract information during the subconscious state. The specialists simply sedate you and ‘dream share.’ The process takes a team to complete as well as an elaborate plan. Dom Cobb (DiCaprio) is the best in the world at the art of stealing ideas in a person’s subconscious dream state, as they can’t be hidden. His profession has led to unfortunate and disastrous personal problems, as he can no longer go home because he’ll face immediate arrest. The only option to redeeming himself is to take on a last job, which involves planting an idea while someone is in a dream state otherwise known as ‘Inception.’ His payment is not in the form of cash it’s in the form of ‘pulling strings’ that will allow him solace. Nolan’s acclaimed film Memento, which he wrote and directed, received two Academy Award nominations. His most recent film, The Dark Knight was an overwhelming success as the Batman saga was revived in 2005 with Batman Begins. An interesting fact regarding Inception is that Nolan wrote the screenplay himself and it’s not based on a book or any other form of literature. Original, refreshing and challenging describe the script as one of the best to come out of Hollywood in years! His idea for the script started ten years ago and the final product has the ‘wow factor’ as his Batman special effects experiences have enhanced the film immensely. This science fiction action film can be viewed at IMAX theatres and regular movie screens. 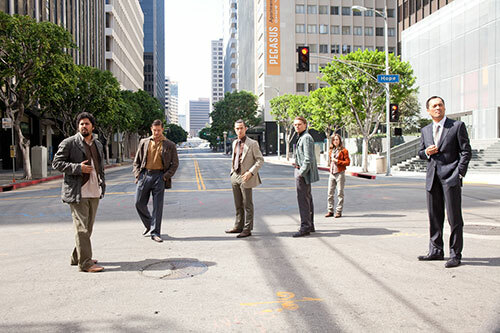 When the notion of planting an idea instead of extracting one is in discussion, Cobb reveals to Saito that he knows inception can work because he, himself, has tried it. It’s both dangerous and risky due to the fact that any number of variables can skew the results. The planning of the dream share job is extremely detailed and requires a team for full execution. Cob assembles the team, as he is the leader. Arthur, played by Joseph Gordon-Levitt (500 Days of Summer) is the details guy. The architect of the dream is played by Ellen Page from (Juno). She designs the sets for the dreams. The forger, played by Tom Hardy, can take on identities to convince the person in the dream that he is any one they need him to be. The chemist helps with the compounding of various drugs that are used in different stages of the dreams. Mal is Cobb’s wife and played by Marion Cotillard. She’s the wild card in the dreams, as one never knows if or when she’s going to appear and wreak havoc for Cobb. Once the team is assembled, the planning and plotting is just as interesting as the dream scam itself. All variables are discussed. Many aspects can go wrong, particularly when you dabble in the lower levels of a dream and are sedated. At one time, the movie viewer is subjected to at least three different levels of a dream with three different environments. The special effects are spectacular unlike anything else you’ve seen in a film particularly, the anti-gravity and walking up the sides of building scenes. Expensive sets were built to carry out the dream sequences and remarkably they add to the sophisticated look of the film. Be prepared for a gigantic runaway train that plows through the middle of a busy street similar to the amazing semi truck that was flipped on Lower Wacker Drive during The Dark Knight film. As far as performances are concerned, DiCaprio’s is one of the best this year and stands right alongside his Shutter Island work. No doubt, another Oscar nod and hopefully he’ll take the prize home this year. 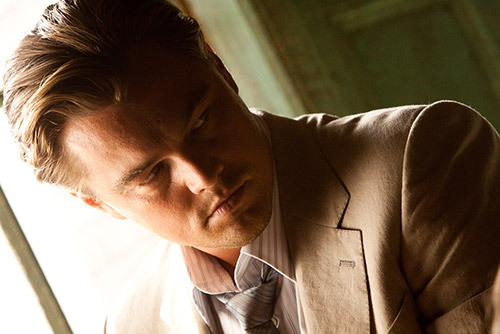 The role as a tortured soul suits Leonardo just fine as he struggles throughout the film with a personal issue regarding his wife similar to Shutter Island. Marion Cotillard’s work as Cobb’s wife is fantastic as well. She’s very interesting to watch on-screen. Ellen Page seemed miscast as the architect. She looks too young for the part. Born in 1987, she was in her early twenties during production – hardly old enough to become a full-fledged architect; even so, she was not believable. What her character did bring to the script was the role of filling in the blanks regarding the many questions about dreams, dream sharing and the process in general for the movie viewer. Overall, the film is one of a kind, a masterpiece and a work of art so to speak. The superior musical score that accompanies the film heightens the suspense and adds to the mystery sequences. I will see the film again as a second viewing will further my appreciation. I’m not going to discuss too much more about the story, as it’s a puzzle that is best solved while you’re in the theater. All I can say is be prepared to be both perplexed and bedazzled!